Millions of people have found the internet to be very helpful in a variety of ways. For some, the simple task of connecting with other people and obtaining more information can be very useful in day-to-day life. For others, the ease of starting a business or online brand is irresistible. The act of building a blog is very common and millions of people have attempted to start their own blogs. A blog can be used to promote a variety of causes or interests, and many different brands find a niche for what they’re offering. Many blogs fail, but you can minimize the likelihood of that happening by following a few important tips. We’ll talk about those today so that you can have the greatest chance for success when starting your very own blog. There are several content management systems available for blogging, and each provides various advantages, disadvantages; benefits and drawbacks. 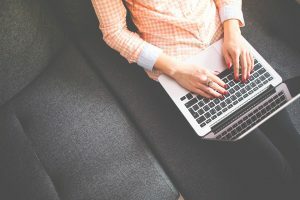 Many people use WordPress for their blogging needs, merely because it is so versatile and has many unique plugins and modules that can be used to create a customized experience. Others may use a platform like Drupal or Joomla in order to build a blog that provides functionality in the form of online stores, community forums or wiki portals. The most important element in selecting a CMS is finding one that you can use comfortably. What is it exactly that your blog is meant to do? Many people and brands start a blog before knowing the answer to this crucial question. Sadly, most fail because they end up pinging noise to the world that resonates with nobody. Who is your target audience, what is your niche, how will you produce a unique angle within that niche and other important questions must all be answered before you begin. Otherwise, you will not be organized enough to ensure that your blog is properly curated and marketed to the masses. Maintaining a successful blog requires many elements to be in place, but knowing how often you plan to post – and what you plan to post in terms of effort – is absolutely paramount to long-term success. Many new bloggers make the mistake of starting out strong, producing many different posts in a short period of time, but then find themselves without inspiration to continue. You want to ensure that there is a steady flow of content – whether you are posting on a daily basis, weekly basis or monthly basis – and stick to the plan. You can even produce content in advance and schedule it to post at a later date. After you write your blog post, then what? Especially in the beginning, visibility will largely depend on your ability to circulate and market each post. You’ll need to definitely focus on building SEO for the long-term, but building a social media presence, paying for advertising on Google and social media, and doing a bit of email marketing can all be great ways to get the word out about your posts. Most of these efforts can be custom-tailored to ensure that you’re not pinging noise at random people, but instead, reaching the precise groups of people who care about what you have to say. Building a blog takes time and energy, but it also requires preparation and focus. What struggles do you think will be the hardest to overcome in building a blog? Tell us about your concerns below in the comments.